Don't rent when you can buy! 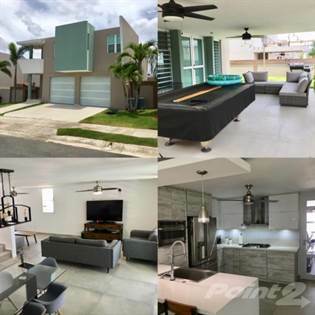 Beautiful, spacious two story home located on a gated neighborhood with 24/7 security and facilities such as swimming pool, tennis and basketball, kids playgrounds. In the first floor it features a foyer, ample living area, dining, updated kitchen with quartz countertops, pantry, powder bath. In the second floor it has 4 bedrooms (including a spacious master with walk-in closet) and a convenient laundry room. House comes with 3 Inverter split a/c units and 9 ceiling fans. Ample covered terrace in the backyard and double carport with security garage doors. Security windows and doors throughout. Also available for long term rent (1 year or more) in $1,600 per month. Hi, I'd like to find out more information about No address available. Thanks so much!